The endometriosis diet is easy to follow and can really change your life. This diet consists on learning which foods aggravate endometriosis and which foods help improve it. Making changes in your diet will help you decrease the severity of your endometriosis symptoms and prevent the spread of endometrial growth. There are foods that make endometriosis symptoms worse because they stimulate the production of estrogen, these foods you should try to avoid as much as possible. There are foods that help decrease inflammation, counteract excess estrogen and increase blood circulation to the reproductive organs and stimulate healing. These foods lower the production of prostaglandins. Prostaglandins are produced by the body in response of inflammation. Prostaglandins are hormone-like substances that have a number of different functions, one of which is the contraction and relaxation of smooth muscle. Prostaglandins are secreted by the lining of the uterus during menstrual cramps and contraction of the uterus during birth. In a woman suffering from endometriosis, prostaglandin production becomes high causing pain during menses and may stimulate smooth muscle contraction in inappropriate time. For example, if a woman is trying to conceive or pregnant, high prostaglandin levels can cause her to miscarry. Let's start talking about the foods you should avoid if you suffer from endometriosis. They following foods stimulate inflammation and should be avoided as much as possible. 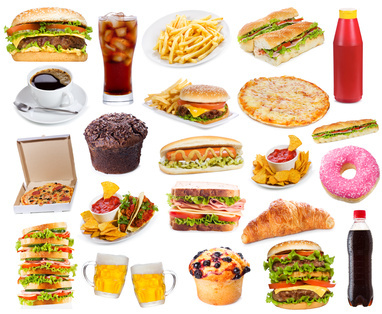 When on the endometriosis diet, it is imperative that you avoid this foods at all costs. 1. Wheat and refined carbohydrates like bread, pasta, cakes made with refined white wheat flour. 2. Red meats should be avoided because they promote the formation of prostaglandins. 3. Refined sugar products like white sugar, corn syrup, commercial sugars because they stimulate an inflammatory reaction and lower the immune system. 5. Chocolate and coffee if they contain sugar. 8. Soy products because they have estrogenic effect. 9. Canned and frozen foods. 10. Foods high in additives and preservatives. Now let's talk about the foods they you should eat and that are beneficial in endometriosis prevention. These foods also help decrease the symptoms associated with endometriosis. Your endometriosis diet should be very high in fibers. Fibers are capable of offsetting the negative effects of chronic inflammation and estrogen dominance. Fibers bind to excess estrogen molecules and help their elimination though the bowels. Also, fiber decreases constipation and central toxaemia as a result of a toxic overload of the liver. Integrate high fiber foods in your diet as much as possible. Eat lots of fruits, vegetables, kamut pasta, brown rice, beans, whole grains, and hemp powder. Omega 3 fatty acids reduce the inflammatory response in your body and promote healthy immune system function. It is important to supplement your endometriosis diet with omega 3 essential fatty acids. Eat wild caught fish like salmon, herrings, sardines, cod, mackerel, etc. Do not eat the farm varieties because they do not contain as much omega 3 as the wild one. Supplementing with evening primrose oil, flax seed oil and hemp oil is very beneficial. Eat lot of seeds and nuts like pumpkin seed, sesame seeds, almonds and walnuts. Vegetables should be part of your diet on a daily bases. Eat those that have dark green leaves are rich in calcium, which helps decrease inflammation and neuro-muscular functioning associated with endometriosis pain. Eat lots of spinach, kale, broccoli, Swiss charts, etc. Curcuma is a great spice to add to your endometriosis diet because it decreases inflammation, cleanses your liver and inactivates environmental estrogen. The recommended daily dosage is 2 teaspoons. Eating also sea algae can help increase iodine that counter acts strong estrogen and improves thyroid function. Taking digestive enzymes before a meal can help improve overall gastro-intestinal health, assimilate nutrients, and prevent bloating and mineral deficiency. Integrate good bacteria into your endometriosis diet like Lactobacillus acidophilus and Bifidobacterium bifidus, to improve bowel flora, deal with constipation and diarrhea. Good bacteria also help eliminated excess estrogen. Avoid drinking polluted water tap. Water that comes from your tap is most likely loaded with all kind of chemicals that disrupt your hormones. Pesticides that are used on commercially grown crops end up in rivers, lakes, ponds, streams, and ultimately end up in your tap water. Pesticides cause infertility in men and women because they disrupt the hormonal system and are linked to endometriosis, fibroids, and PCOS. They are part of the family of xenoestrogens that act like estrogen, bind on estrogen receptors and stimulating tissues like the uterine lining that respond to estrogen stimulation. If you have endometrial implants in other areas of your body, they too will respond to the stimulation of excess estrogenic compound in your drinking water. Your water is also polluted with organochlorines that are kinked to birth defects, infertility, low sperm count, endometriosis, miscarriages, etc. I advise anyone that suffers from endometriosis, infertility, PCOS and fibroids to install a water purification system. That's what I have done in my house and it is the best thing you can do for your health and your fertility. You will never regret it! Low antioxidant intake can be related to pelvic oxidative stress in endometriosis. Medical research has shown how antioxidant intake can dramatically reduce endometriosis symptoms and pathology. Antioxidants like natural Vitamin E and C are very beneficial and antioxidant minerals like zinc and selenium can help endometriosis because reduce oxidative stress within the endometrial tissue, thus reducing the inflammatory response. 1. Eliminate completely wheat and wheat products like anything made using wheat flour. Also avoid anything that contains modified starch, dextrins, or malto-dextrin. 2. Introduce whole grains like buckwheat, rye, rice, corn. 3. Integrate fiber foods like hemp and fax and legumes into your diet. 4. 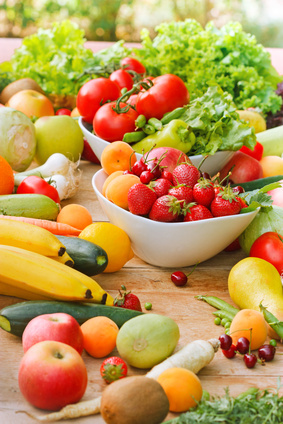 Eat lots of organically grown fruits and vegetable (avoid pesticides). 5. Eat very little red meat. If you do make sure is kosher and organic. 6. Eat moderate amounts of white meat like organic chicken and turkey. 8. Take acidophilus and digestive enzymes. 9. Take natural vitamin E, C, zinc, selenium, fish oil and evening primrose oil. 10. Take calcium and magnesium supplement. 12. Take herbal remedies that support the endometrium, like EndoEx. If you want to learn more about treating endometriosis effectively and naturally, you will love this eBook. In order to permanently cure endometriosis and have a healthy pregnancy, you need to change your life style. Did you know that certain chemicals fuel endometriosis and aggravate your symptoms? Scientist have now identified a clear link between hormone disruptors and endometriosis formation, growth and development. Health researcher, Shelly Ross is the author of Treating Your Endometriosis and in her eBook she will walk you through practical methods to successfully control and manage endometriosis. 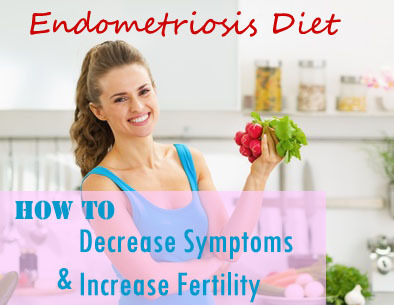 This eBook also talks about the endometriosis diet that is a key factor in addressing endometriosis pain and symptoms. Learn how a few simple changes in your diet can dramatically reduce your endometrial implants from spreading helping you if you are trying to conceive either naturally or with IVF. You will also find more information on nutritional supplements, stress reduction techniques, best exercises to reduce endometriosis symptoms, and much, much more!